We first met Jenise Aminoff at the New England SCBWI Conference in Springfield, Massachusetts. She wowed us with her awesome pitch at our Pitchapalooza (think American Idol for books), and we were absolutely sure that she was going to be a published author sooner rather than later. 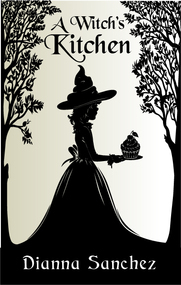 Sure enough, her new book, A Witch's Kitchen, is coming out, and we thought we would pick her brain about her road to publication. Jenise Aminoff: Yikes. There are so many ways I could answer that question. The simple answer is that I took a lot of classes. When I got to MIT, thinking I'd be a physicist or aero/astro engineer, I started taking writing classes as stress relief. Contrary to popular belief, MIT actually has a robust humanities department and an excellent writing program. At some point, I realized that I was enjoying writing much more than solving equations, so I changed majors. I have a bachelor's of science in writing, and my thesis was poetry. Go figure. One of the classes I took was Joe Haldeman's Science Fiction Writing. He told us about the Clarion Workshop, so the fall after I graduated (and got married), I applied and got in. Clarion '95 was an incredible experience, and a lot of fantastic writers came out of it. Josh Peterson attended having just won the Writers of the Future contest. 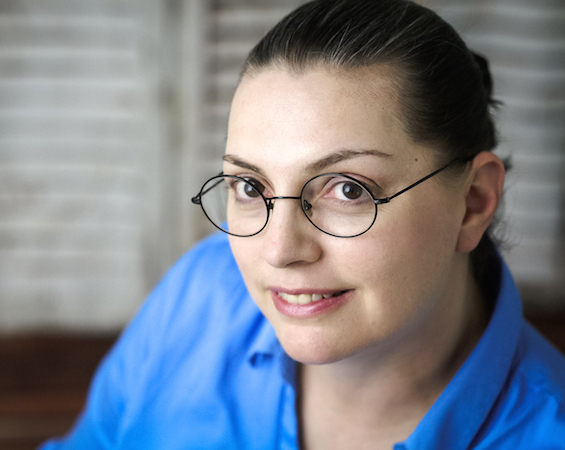 Kelly Link (a recent Pulitzer finalist) sold her first story to Asimov's during Clarion. Nalo Hopkinson (won a Campbell and a Nebula and many, many more), Lucy Snyder (just won a Stoker), and Michael Warren Lucas have all gone on to be successful novelists. Bruce Glassco wrote the incredibly popular board game Betrayal at House on the Hill. Going from that to the MFA program at Emerson College was a huge letdown, and I quit after one semester. But I needed a job, so a friend took pity on me and got me a job as a technical writer. Funny thing: if you tell people you have a degree in writing from MIT, they immediately assume it's technical or scientific writing. Since then, I've been a technical writer, science writer, information designer, webmaster, grants writer, marketing content writer, and STEM curriculum designer. For a long time, my fiction and poetry took a backseat to career and kids, but then a novel fell on my head. And I realized I was in trouble because I'd never studied long-form fiction, and novels are NOT just longer versions of short stories. So I found more classes to take: Odyssey Online's Fabulous Dialogue in Fantastic Fiction with Jeanne Cavelos, Writing Middle Grade/YA Novels with Holly Thompson, and Odyssey Online's Getting the Big Picture (novel revision) with Barbara Ashford. All throughout this, I was keeping active in one way or another. I belonged to critique groups, live and online. I was a slush reader for Aboriginal Science Fiction magazine right after Clarion, and after the first Odyssey Online class, I became an editor for New Myths magazine. I ran a reading series with an open mic for nearly ten years. And I read and read and read, everything I could get my hands on about writing: Le Guin's Steering the Craft; Lawrence Block's Spider, Spin Me a Web; Don Maass's Writing the Breakout Novel; Cathy Yardley's Rock Your Plot; and of course, The Essential Guide to Getting Your Book Published. I also joined the Society for Children's Book Writers and Illustrators (SCBWI) and read their annual guide and quarterly newsletters and online articles. JA: Yikes squared. How long can this article be? I'm a VORACIOUS reader. When I was still in the children's room of the Ernie Pyle branch of the Albuquerque Public Library, I read Walter Farley (The Black Stallion), Marguerite Henry (Misty of Chincoteague), Frances Hodgson Burnett (The Secret Garden, The Little Princess). At my school library, I read all the Happy Hollisters and the Oz novels, Louisa May Alcott and Laura Ingalls Wilder. Then one day, when I was nine, I stumbled across a new book, Anne McCaffrey's Dragonflight. Yes, I know that's not a juvenile. Someone had misshelved it, I suppose. But I checked it out, read it with avid interest, brought it back, and asked if there were more. The children's librarian looked at me. "You read this? Did you understand it?" When I nodded, she called my mother over, spoke to her briefly, then turned back to me and said, "Come with me." She led me into the adult section of the library and placed in my hands a small paperback: J.R.R Tolkien's The Fellowship of the Ring. I owe that librarian so much, and I never even knew her name. After that, I had the run of the adult section. My mother was a mystery reader, but she also liked Ray Bradbury and introduced me to him. I started reading the entire SF section starting with the A's: Anthony, Asimov, Beagle, Bradley, Cherryh, Clarke, Donaldson, Doyle... Eventually, I looped back to juveniles and found Lloyd Alexander and Madeline L'Engle. Of these, the ones I read over and over and over were Peter Beagle's The Last Unicorn, Tolkien's Lord of the Rings, all the McCaffreys, L'Engle's A Wrinkle in Time, and, in my teen years, Windhaven by George R.R. Martin and Lisa Tuttle. JA: Still reading children's literature, everything my girls bring into the house, plus a lot of stuff they don't find interesting but I do. I'm currently investigating verse novels as an interesting form I'd never known about. Also adult SF, particularly Seanan McGuire, Cat Valente, N.K. Jemison, Daniel Jose Older, John Scalzi, and China Mieville. My husband is a history buff, and he hands me the well written stuff. I'm currently reading Sailing the Wine Dark Sea by Thomas Cahill. I'm also reading some basic psychology, articles on Maslow's Hierarchy of Human Needs as a framework for structuring character development. I'm working my way through Second Sight by Cheryl B. Klein. I follow several web comics religiously: xkcd, Girl Genius, Questionable Content, Mare Internum, Blindsprings, Kiwiblitz, and Phoebe and Her Unicorn. JA: It fell on my head. Really. In my family, we make each other Christmas presents. Right after Thanksgiving 2013, my younger daughter asked me to write her a story with fairies and unicorns as her present. I thought, okay, sure, 10 pages or so. A couple of days later, I was watching my older daughter baking a cake. She doesn't use recipes (that's cheating), and sometimes her cakes are fabulous and sometimes they're awful, but most of the time they're okay. I thought, What if there were a young witch who just can't figure out magic but is really good at cooking? And I started writing. And writing. And the story wouldn't end. By Christmas, I had something like 50 pages written, and I knew then that it was a novel. I finished the first draft in time for her birthday in March, and it was around 50k words by then. In A Witch's Kitchen, Millie's an apprentice witch who can't cast a successful spell but who can cook amazing meals and scrumptious desserts. Her mother's only interested in the magic, though, so Millie feels unappreciated and worthless. Millie's grandmother comes up with the clever idea of sending her to the Enchanted Forest School, where she studies magic and many other things with fairies and dragons and goblins, reconnects with her half-brother, a wizard, befriends a pixie and an elf, and starts discovering that her cooking has value, and her magic isn't so messed up as it seems. Ultimately, the novel's about not letting other people define you. JA: Joys and perils is a good way to describe it. On the one hand, it was glorious. Words just kept pouring out of me in this seemingly unending stream, and the big challenge was finding time in which to write. Fortunately, my employer decided to move to a new location which would have meant a 90-minute commute for me, so I gleefully quit and focused on the novel. But I really had no idea what I was doing. It felt like navigating a maze in total darkness using only my elbows. Characters would suddenly appear out of nowhere and take over the plot, and I'd later have to ruthlessly revise them out. And because this was my first novel, every niggling little idea I'd ever had, and every moral I wanted to pass on to my girls, showed up in one form or another. And I then had to prune and prune and prune. I have determined, empirically, that I am not a pantser. All those years as a technical writer, I suppose. Then I went to the New England SCBWI Conference in Springfield in April 2015, and I learned so much, my head nearly exploded. On the first day, I went to a query critique session with agent Kaylee Davis, and she had some very helpful advice. I was attending with my friend Dirk Tiede, who was also a first-time attendee, and he insisted I had to do the Pitchapalooza. I really didn't want to; pitching in front of a huge crowd of people I didn't know sounded absolutely terrifying, but Dirk was pitching, so I put my name in to be supportive. When you pulled my name out of that bucket, I was sitting on the floor in the back of the room, frantically revising that pitch using Davis's advice. The sheet of paper I brought up was scribbled over and scratched out and rewritten. But I pitched it, and I won. I'm still stunned by this. I'd never even seen a Pitchapalooza before. This gave me a lot of confidence. Taking what I learned at the conference, I revised the novel again, and I started querying in June, without a whole lot of success. My manuscript buddy Dana told me about Twitter pitch parties, and I tried a few of those and got a few lukewarm responses. And then my friend Elizabeth told me about the Young Explorers' Adventure Guide, an annual anthology of science fiction written for children, mostly middle grade but also a little YA. I checked out the publisher, Dreaming Robot Press, and I noticed that they were accepting submissions for MG fantasy novels. So I sent them my query. They got back to me in early August expressing interest, and I called in my Pitchapalooza prize, a consultation with you. Thank you so much for holding my hand through that process. TBD: What was it like to do a Kickstarter campaign? What are some do's and don'ts that you learned? JA: The Kickstarter campaign was wild and terrifying and huge fun, all at the same time. I'd been involved in a failed Kickstarter before, but Dreaming Robot Press had done two successful Kickstarters in the past, and I trusted them to make it work. One smart thing they did was pair me up with a more seasoned author, Susan Jane Bigelow, whose Extrahuman Union series is now being republished by The Book Smugglers Publishing. One mistake they made was setting the goal way too low, at just $850. We funded it in the first seven hours, during our Facebook launch party! After that, I think a lot of people just thought, oh, it funded, I don't need to support this, so getting more buy-in was hard. I kept trying to come up with stretch goals. I offered to publish a companion cookbook, and we blew through that stretch goal within 24 hours. I then offered to do free school visits for every $1000 over the goal, but that was too high, and it looks like I'll only be doing one of those. During the middle slump, I got the Kickstarter posted on boingboing.net, and that same evening Susan and I were interviewed on the Sci-Fi Saturday Night podcast. All that effort netted us a total of four new supporters. But at the end, we came in at $2101, which is a pretty good feeling and some nice early publicity before publication in September. JA: I posted a long essay about my pen name on my Facebook author page. Here's the short form: Dianna is my middle name, and Sanchez is my mother's maiden name, so it's as much my name as Jenise Aminoff. Growing up, I never saw Hispanic names on the spines of the books I read, and I never found Hispanic characters inside those books. As a child, I never questioned this. It was obvious that science fiction/fantasy was a white thing, as so many things were then. It wasn't until I got to college that I discovered black SF writers such as Samuel R. Delany (who was one of my Clarion instructors) and Octavia Butler. I started asking, where are all the Hispanic SF writers? I found Gabriel Garcia Marquez and Jorge Luis Borges, but that was magic realism, and I didn't really understand the distinction, why Hispanic speculative fiction needed its own little box. Thank goodness other Hispanic SF writers are starting to emerge now: Junot Diaz, Daniel Jose Older, Carmen Maria Machado. I want my daughters to see Hispanic names on books. I want them to find Hispanic characters in books. I want other kids - white, black, Asian, whatever - to see them, too, and to understand that science fiction is for everyone. JA: Right now, I'm in the middle of moving, but that's starting to calm down a little, so I'm beginning to plan out my next novel. I have so many novels that have been simmering on back burners, it's been hard to decide which ones to work on next. Right now, I'm outlining a MG urban fantasy which features cross-group characters: one black, one Hispanic, and one of mixed ancestry including Anasazi. It takes place in Albuquerque and addresses issues of culture shock and adapting to new environments. At the same time, I really want to be working on a YA novel in which a Hispanic boy gets lost in an infinitely large discount store, encountering people from all over the world who are similarly trapped. There are so many fun things I can do with this, while also channeling a creepy vibe I haven't really played with before. But this novel is much less fully developed than the MG novel, so I'll probably work on that first. And I have a long, LONG list of other novels I want to get to, not to mention sequels to A Witch's Kitchen. JA: Ooh, now you're playing dirty. Okay, here are the things I find myself telling people again and again. Go easy on yourself. Life is hard and crazy, and you never know from day to day what's going to come along to sabotage your writing practice. Don't feel bad about that, because your life informs your craft, and everything you do when you're not writing is going to end up in your writing later. It's great if you have a stable enough life that you can write a set number of hours every day, but if you can't write every day, don't let the shame of having failed prevent you from writing when you do have the time. That said, be persistent. So you didn't write today. Tomorrow, find ten minutes to jot down ideas or do character sketches. Then, when you have a luxurious hour or two for uninterrupted writing, you've got material ready to work on. Don't write alone. Find a critique group that's supportive and dedicated, one that's not overly harsh but also doesn't pull punches, and one in which everyone is contributing more or less equally. These people are your lifeline. They will keep you sane. Critiquing their work will help you recognize what you should improve in your own writing. If you write kidlit, SCBWI has a critique group matching service you can use. If you don't, Meetup is another great place to find groups. There are lots of online groups, too. Join the Fantasy and Science Fiction Writers in America Facebook group and just ask there. And if you can't find a group that meets your needs, make one. That's what I did, pulling together a bunch of people I met at that fateful 2015 conference. I love them all; I could never have finished my novel without them. Every first draft is terrible. Don't lose heart. That's what revision is for. I hate revising, passionately, and would rather go clean the bathroom or weed my garden. But revision is actually where things get interesting, when you pull together all the disparate threads of your story into a complex, well-woven whole. Think of revision as an endless series of do-overs. In time, you'll get it just right. Dianna Sanchez is the not-so-secret identity of Jenise Aminoff, whose superpower is cooking with small children. She is an MIT alumna, graduate of the 1995 Clarion Workshop and Odyssey Online, active member of SCBWI, and a former editor of New Myths magazine (www.newmyths.com). Aside from 18 years as a technical and science writer, she has taught science in Boston Public Schools, developed curricula for STEM education, and taught Preschool Chef, a cooking class for children ages 3-5. 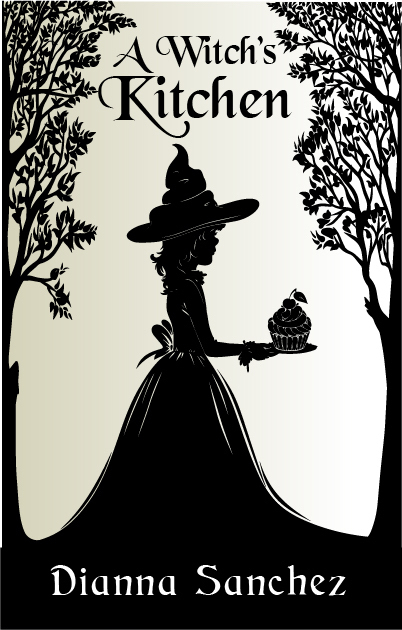 Her debut novel is A Witch's Kitchen, forthcoming from Dreaming Robot Press in September 2016.